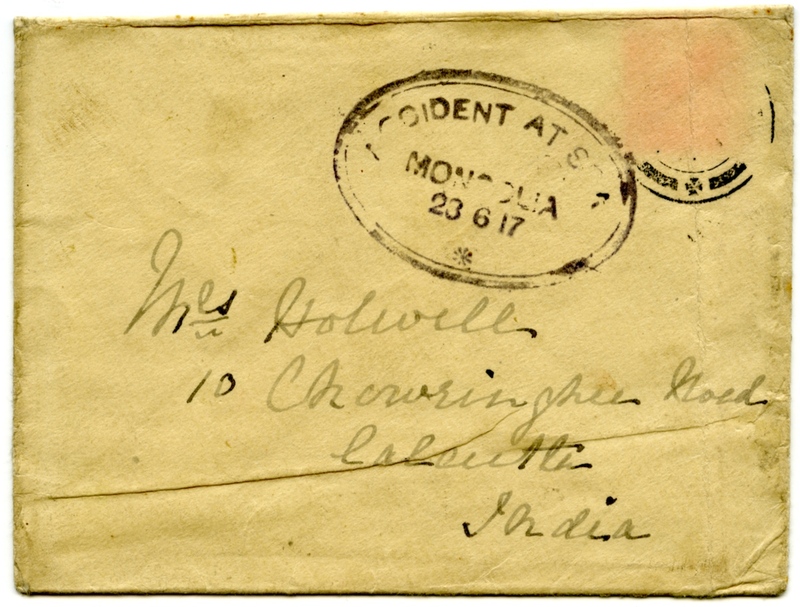 This oval cachet (illustrated above) was applied to an envelope posted in England and bearing the Bombay arrival mark of June 30th, 1917. The English adhesive has floated off and the departure mark went with it. 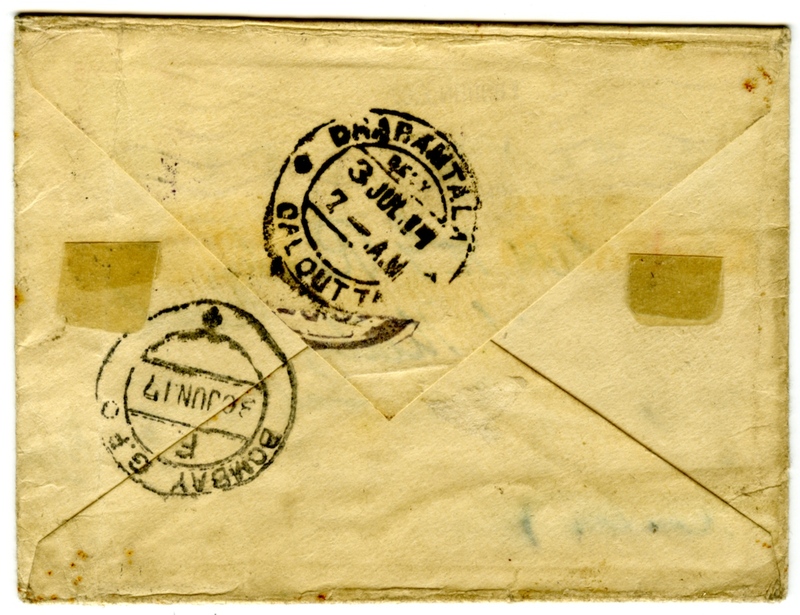 Two other covers from the same wreck are no more helpful, especially in view of the fact that one of these has acquired a penny English stamp which obviously belongs to some other letter. The Mongolia was a P. & O. steamer of 9,505 tons built in 1903. She was sunk by a mine on 23rd June, 1917, 58 miles off Bombay. Miss Campbell had in her collection the front of a registered cover saved from this same mail and this shows the departure mark of Wandsworth 29th May 1917, but again there are no adhesives.